In the workshop for the community held on February 1st 2018, the Measure GG Bond Implementation Team revealed a plan to construct a large road inside the campus as well as a Multipurpose Room and Music Room on what is now open field in George Berkich Park. 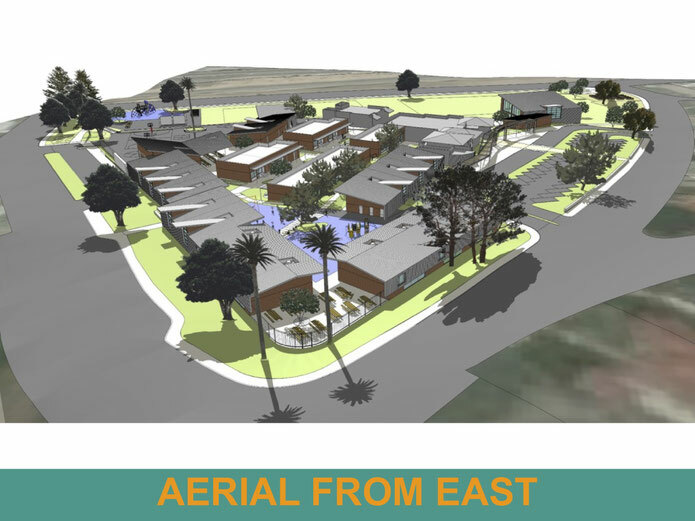 The images below were taken from the Bond Implementation Team's documents and show multiple angles of the proposed campus. We as a community must prevent execution of this plan. The Bond Implementation Team needs to consider alternate designs which do not encroach on the park space. 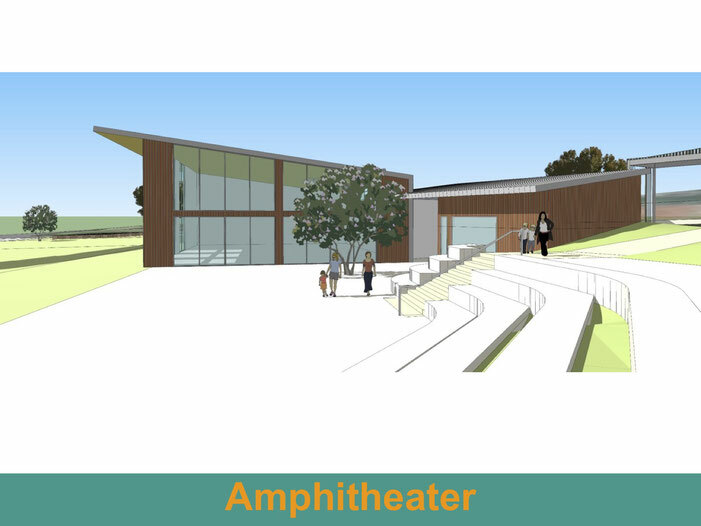 The proposed Multipurpose Room is a massively tall and expensive structure that is not sized properly for K-3rd grade students. There is no need to waste valuable campus square footage with an internal road which will not solve the perceived traffic issues. With a more modest sized parking solution, the Bond Implementation Team could easily accommodate all construction needs within the current campus footprint and save George Berkich Park for future generations. The open fields at Cardiff School are a great asset to the community and should not be destroyed. Recently the school board has tried to defend the field destruction saying that they do not want to spend a significant amount of bond dollars on temporary housing. This is short sighted and wrong. The budget proposal presented to the San Diego County Taxpayers Association shows $1.44m for "Interim Housing" at Cardiff School. Now this money is being directed somewhere else? We should not support destruction of open spaces to solve temporary problems. 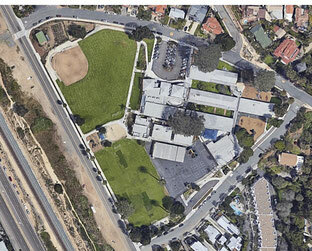 The community approved Measure GG in order to help modernize Cardiff School. In addition to the destruction of open spaces, the recently proposed construction will not make Cardiff School more affordable to maintain but rather will make it more expensive. 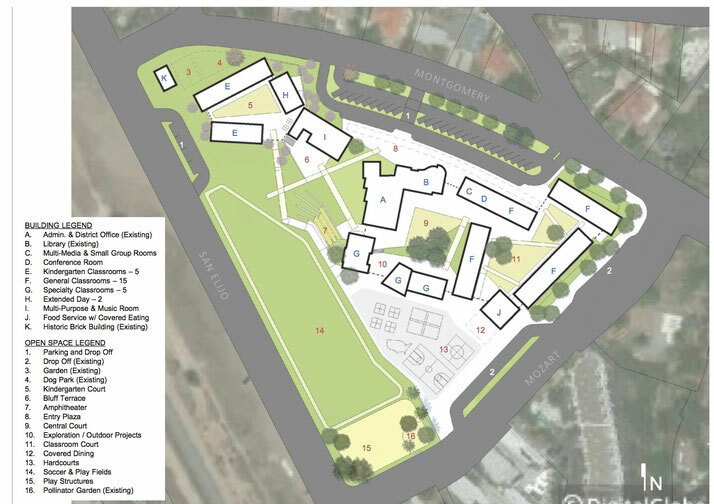 Looking at the proposal it is easy to see that the school design is not a simple one. Will the new proposal be realized within the $22m budget or will more bond dollars be required to complete this grand design? Would the more modest design presented to voters pose less financial risk? The proposed design does not provide increased classroom capacity over other designs. The expanded footprint is simply an aesthetic choice. 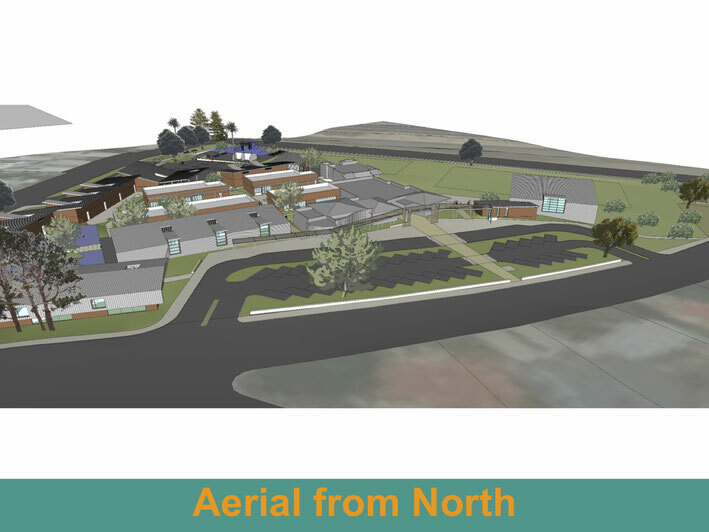 As a result of the passing of Measure GG in November 2016, a $22 million bond-funded redesign of Cardiff School is currently underway. Unfortunately, plans for the redesign have recently changed drastically in scope and form and will result in the destruction of open space in Cardiff if not revised. In June of 2016, the school board presented many options for school update/rehabilitation scenarios in a Facilities Presentation. Although less drastic (and less expensive) options were explored, the school board decided to budget $22m for hefty school renovations. 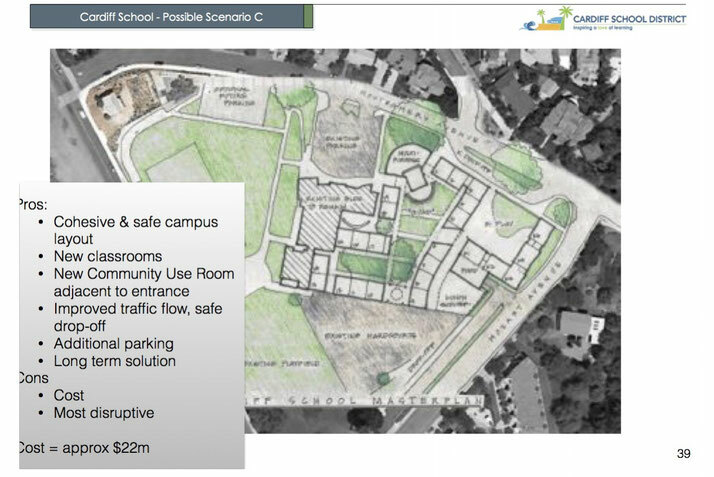 This option appeared to the community as Scenario C in the Facilities Presentation and was eventually approved in the November 2016 election as Measure GG. 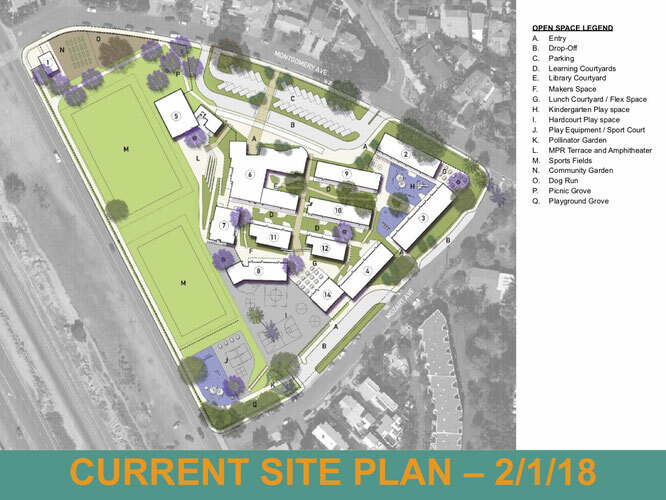 It is important to note that although classrooms would be completely rebuilt, the footprint of the school was presented to the community as largely unchanged in Scenario C. Impact to the neighborhood would be minimal and the beloved George Berkich Park would be preserved. There appears to be a bait-and-switch going on here. Voters were enticed to vote for Measure GG with a proposal that showed little community impact. 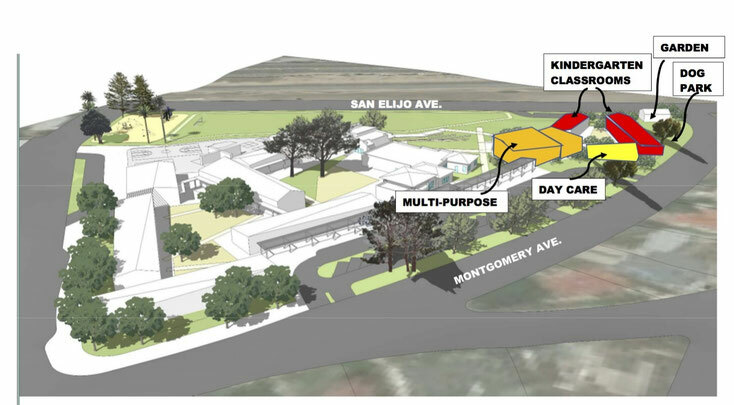 Now that the measure has passed, the school board, architects and contractors are attempting to wipe the site clean and build an entirely new school. The latest proposal attempts to change Cardiff School from a community school with close-knit buildings and wide open spaces into a sprawling campus with undulating rooflines, amphitheaters, hang-out spaces and artificial bluffs. 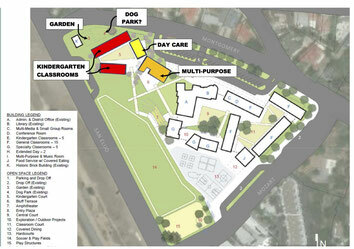 Does this new design create a better school for the kindergarten through 3rd grade students? The neighborhood and community of Cardiff will certainly be affected by the destruction of the existing fields at George Berkich Park. Instead of walking down Montgomery Avenue and seeing children playing on the soccer and baseball fields with the ocean in the distance, neighbors would see only parking lots and the backs of buildings. Looking at a map of Cardiff it is easy to see that the Berkich Park at Cardiff School is one of the last few open spaces left in town. Why would we pave over this park, especially if there is no good reason to do so? Once a parking lot or building is constructed, the open space can never be reclaimed. The construction staging zone at the corner of Montgomery Ave and San Elijo Ave is a perfect example of this. Earlier this year the beautiful, wild bluffs and trails surrounding the railway corridor were bulldozed to create a temporary staging zone for the double-track construction project. This area will take many lifetimes to return to its natural state. If we allow this type of heavy-handed disregard for our fragile community to continue, what will Cardiff look like in 5, 10, or 20 years?